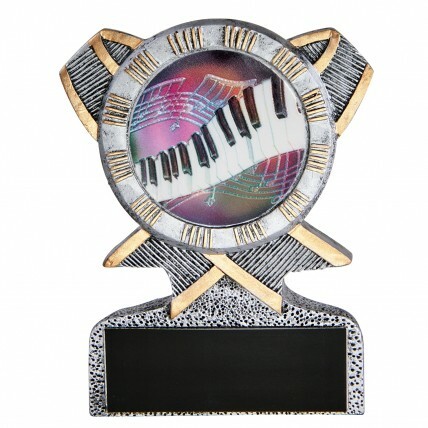 Award our Dancing Keys Piano Recital Trophy at your next recital! Made of resin, this piano recital award resembles cast pewter with bronze highlights. The design is in the shape of crossing ribbons with a holographic image of a rainbow of musical notes and piano keys. Measures 5 inches tall.